The UFC’s first full show on ESPN is now in the books, and nobody can really say it wasn’t eventful. UFC on ESPN: Ngannou vs. Velasquez took place live in Phoenix, Arizona last night, and we got some pretty huge moments – most notably in the Heavyweight main event. Maybe not everything went quite as the UFC had planned – and maybe we could’ve done with a couple more finishes, too, particularly with 6 of the 10 televised bouts going to decision. But for the most part this was a fun and watchable show and definitely felt faster-paced than the UFC’s fare on Fox. Here are the best and worst moments from UFC on ESPN: Ngannou vs. Velasquez. #1 Best: Did Ngannou punch his ticket to another Heavyweight title shot? Could Francis Ngannou gain a title shot from last night's win? Back in November 2011, the UFC started its Fox era with a big Heavyweight fight – a title match between then-champ Cain Velasquez and challenger Junior Dos Santos. The fight ended early in the first round with Velasquez on the wrong end of a TKO. Who would have figured the UFC’s ESPN era would start in 2019 with almost the exact same finish? 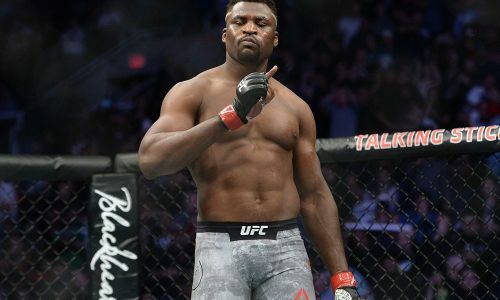 Many people were expecting a war between Velasquez and Francis Ngannou in the main event – even those picking Ngannou to win. So to see the fight end in favour of ‘The Predator’ in just 26 seconds was pretty incredible. Sure, the win maybe comes with an asterisk. 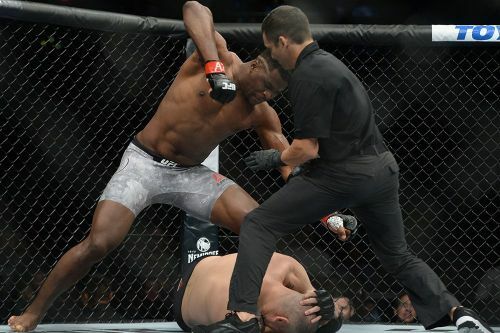 Ngannou did land a clean uppercut as Cain attempted to clinch, but it looked like it was a knee injury that actually sent the former champ down. At the end of the day though, a win is a win. This one might prove even more valuable for Ngannou, too. After he lost his 2018 title fight with Stipe Miocic in one-sided fashion, it appeared that the road back to another opportunity would be a long one. But now, perhaps that isn’t the case. This win joins his November victory over Curtis Blaydes, but more to the point it came over the primary training partner of current UFC Heavyweight champ Daniel Cormier. Cormier has already expressed an interest in ‘avenging’ his teammate’s defeat. And with the status of Brock Lesnar still up in the air, a fight between Cormier and Ngannou might be the best story the division can tell going forward – which makes ‘The Predator’ the biggest winner of last night’s show.